Take a break away from traditional candy bars and sink your teeth into a chocolate cupcake topped with caramel buttercream, honey roasted peanuts, chocolate ganache and caramel drizzle! 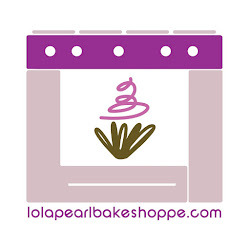 Everything is coming up roses at Team Lola Pearl! Rumor has it that these roses were made on a skewer. Now that's talent! If you've ever made Rice Krispy treats, you know how easy they are to make. Substitute Lucky Charms for the rice cereal and you instantly have a St. Patrick's Day treat to keep you going throughout the weekend! Check out our recipe here on Sheckys.com! St. Patrick's Day is this weekend, so why not dress up your desserts with festive green and white jimmies?! What kind of desserts are you going to make?